Looking for pet-friendly apartments in New Castle, DE? Castlebrook Apartments welcomes you and your pet to come and enjoy the comforts of your new home. Located near PetSmart, Back to Nature Pets and Grooming, Petco Animal Supplies, and Concord Pet Foods and Supplies, our apartment community offers convenience to everything you need to keep your furry friends healthy and happy. Additionally, we’re located near several of the area’s best animal clinics, such as Veterinary Specialty Center of Delaware, Red Lion Veterinary Hospital, and Loving Touch Animal Clinic from the Ellensburg Animal Hospital, for a wide-array of services for all regular checkups and emergencies, should they arise. Other amenities in the area include PV Pets, The Pet Supply Outlet, Persianrose Cattery, and the Dog Stop, which offers pet training, boarding and grooming. Our pet-friendly apartments at Castlebrook are also near fantastic New Castle, DE, green spaces, such as Coventry Ridge Park, New Castle Battery Park, a dog-friendly, riverfront park with walking trails and picnic spots, and Talley Day Park, which has a fenced-in bark park as well as a mile-long walk path, playground, and pavilion. Looking for a pet to bring home? The Brandywine Valley SPCA | Delaware – New Castle is a great local animal care center that provides top-level treatment for animals in their charge as well as education for owners on and assistance with spaying and neutering adopted pets. Fees and breed restrictions apply. Please contact Castlebrook Apartments for additional details. Contact Castlebrook Apartments online or call us at 215-886-2000 to learn more about fees and breed restrictions. 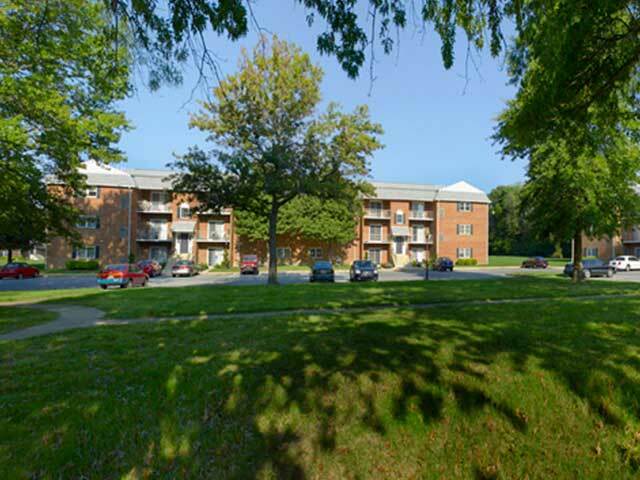 Our pet-friendly apartments in New Castle are a great place for you and your pet to call home.